Getting to Room Temperature is a one-person play about my mother’s polite quest for euthanasia. The main and only character is a lot like me, but we decided to hire a real actor, Robert Bockstael. We did several test presentations, and the response was excellent. We were accepted at Ottawa’s 2016 undercurrents festival, where we broke attendance records and got great reviews. We then took Room Temperature to a small festival in Prince Edward County, Ontario. Success in Canadian theatre means having a “midsize theatre company” buy one’s production (the script, actors, set, etc. : the whole show) or buy the rights to produce the script. Either would typically result in a two- to four-week run in a 200-seat theatre. Theatre companies were uninterested. But the artistic director of a community cultural centre in the Okanagan Valley, who had read about the play on Facebook, wanted to buy the show, and she also had interested colleagues in other B.C. towns. Community cultural centres, typically, buy one performance and stick it in a 400- to 600-seat theatre. While “theatre companies” present or produce theatre, “community cultural centres” rarely produce anything but present a bit of everything – mostly music and musical plays and standup comedy. Room Temperature – “a hard-hitting, sentimental and funny one-person play about dying” – is not their usual fare. In March, we did nine performances over three weeks in six B.C. locations: on the Gulf Islands, in the Interior and in a Vancouver suburb. It was fantastic. We crossed oceans and mountains. We performed in cavernous auditoriums and, on the Gulf Islands, in rustic community halls. We were vaudevillians in the Monashees. Audiences laughed and cried and more than half the audience stayed for talkbacks. They, along with hospice and palliative care workers, told us: you got it exactly right. The tour was lucrative and fun and gratifying. Tarragon is perhaps Canada’s most important theatre (measured in new plays that have had subsequent productions). Its artistic director confesses that he changed his theatre’s mandate because a government agency told him to. And there’s not a whimper. In his 2007 history of modern music, Alex Ross writes, “To the cynical onlooker, orchestras and opera houses are stuck in a museum culture, playing to a dwindling cohort of aging subscribers and would-be elitists who take satisfaction from technically expert if soulless renditions of Hitler’s favorite works.”3 Yes, that’s pretty cynical. But artists must from time to time entertain such negativity. To transpose Ross’s aphorism to midsize and small Canadian theatres: artists work for dismal wages to perform technically proficient, obscure plays for an artistically pretentious sector of the upper middle class. Since the election of Donald Trump, we’ve been asking ourselves, “How do we breach the cultural divide?” Maybe the simplest answer is: get out of the big cities. Big cities are the home of liberalism and formal experimentation and government-enforced cultural diversity. Big cities are the home of theatre companies. Big cities are where we talk among ourselves. All in all, it seems an important message to carry across the cultural divide. Canada and the United States have lost quite a few jobs in manufacturing, and almost all unskilled, nonunionized work pays less than it used to. People blame computers, free trade or immigrants, or all three. But there might be a simpler, proximate cause. In Wal-Mart: The Bully of Bentonville, Anthony Bianco suggests that there are many secrets to Walmart’s success.5 It was, for example, a pioneer in the use and development of technology, setting the pace for stock management and “just-in-time” delivery. 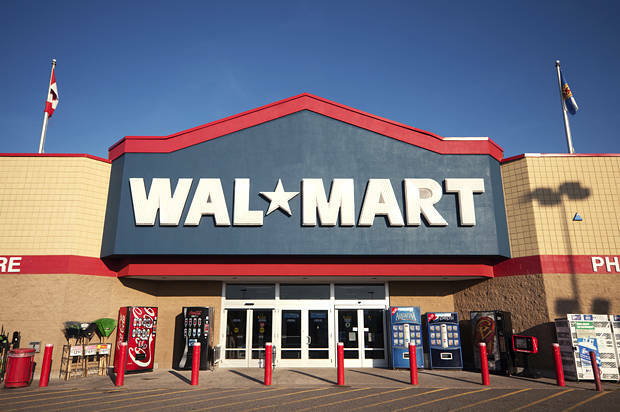 In 1987, Walmart developed its own private satellite communication system – the largest in the United States. As resistance to its expansion grew, the company sought to reshape its image. In 2010, Walmart committed $2 billion to ending hunger in the United States and, soon after, declared its commitment to sustainable agriculture, local farming and providing affordable, high-quality and healthy food. There was one point, however, on which Walmart would not budge. From the start, Walmart insisted on the lowest wage package possible. It paid minimum wage or slightly above. It forced employees to work split shifts. It kept work hours and length of employment below the level at which statutory benefits and income security would kick in. Keeping pay down meant keeping trade unions out. On the very few occasions in which employees successfully organized, Walmart reacted brutally. A month after being forced to sign a first contract with the United Food and Commercial Workers (UFCW), representing workers in Jonquière, Quebec, the company shut the store. Not surprisingly, Walmart’s low-wage strategy influenced most of its retail competitors. But it wasn’t just retail. Before Walmart, suppliers set prices. When Walmart grew powerful enough to make offers that could not be refused, suppliers too were forced to cut costs – by reducing wages, replacing workers or going offshore. How does one measure the impact of Walmart’s low-wage strategy? How does one compare that with the impact of technological change, free trade and immigration? I have no idea. An interesting project for an economist, no doubt. But here’s some wisdom gained from hindsight: We should have put a lot more effort into helping the UFCW’s organizing efforts. We should have sat down in front of Walmart distribution centres instead of G7 meetings. It should perhaps have been the left’s absolute priority. When you talk to these people, they are still bitter about the trade issue, furious about what was done to them. They worked their butts off for Bill Clinton, and look what he did to them. Then they worked their butts off for Barack Obama – they turned over their treasury to the Democrats and they went door to door – organized labour had one demand to Barack Obama … they wanted “Card Check,” to make it easier to organize a union … Do you think he got that passed when he had both houses of Congress? He did nothing. He just let it die. So here’s something else we might do to reach out to those who might vote for a Canadian Donald Trump: Make it a lot easier for people in the private sector to join a union. 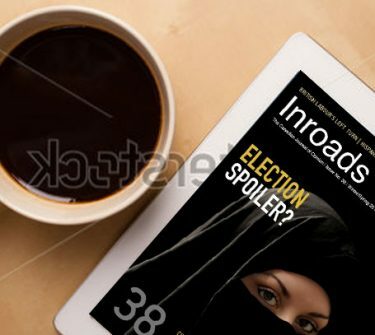 1 “Political Theatre, Then and Now,” Inroads, Winter/Spring 2017, pp. 14–16. 2 J. Kelly Nestruck,“Tarragon Theatre Shaking Things up with Music-Focused Season,” Globe and Mail, February 20, 2017. 3 Alex Ross, The Rest Is Noise: Listening to the Twentieth Century (New York: Picador, 2007), p. 560. 4 Getting to Room Temperature (Bloomington, IN: iUniverse, 2016), pp. 38–39. 5 New York: Doubleday, 2007. 6 Thomas Frank, Sunday Edition, CBC Radio, November 13, 2016.